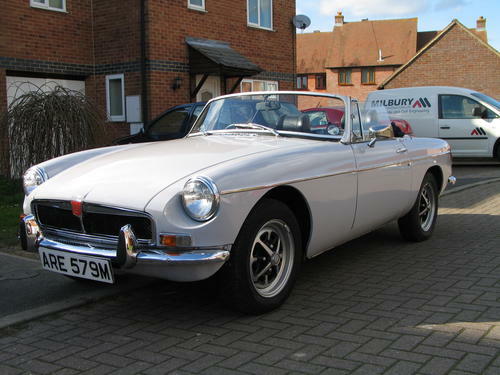 I never had any problem getting in or out of an MGB as long as it didn't have the huge original steering wheel Compared to getting in and out of the 64 Moke... it's a breeze. I had the last (supposedly) Mirage Grey Roadster (1973 - only produced in that colour for 3 months or so) in the UK. Imagine shiny grey primer with a hint of mauve. This is a picture of it, still on the MGExperience forum. How cool is that????!!!! Would be great if you have more vintage pictures. In 1966, these must have been made specially for the event, or repainted and clothed afterwards.